Hey everyone! So as you know, Chapter 7 starts next week! 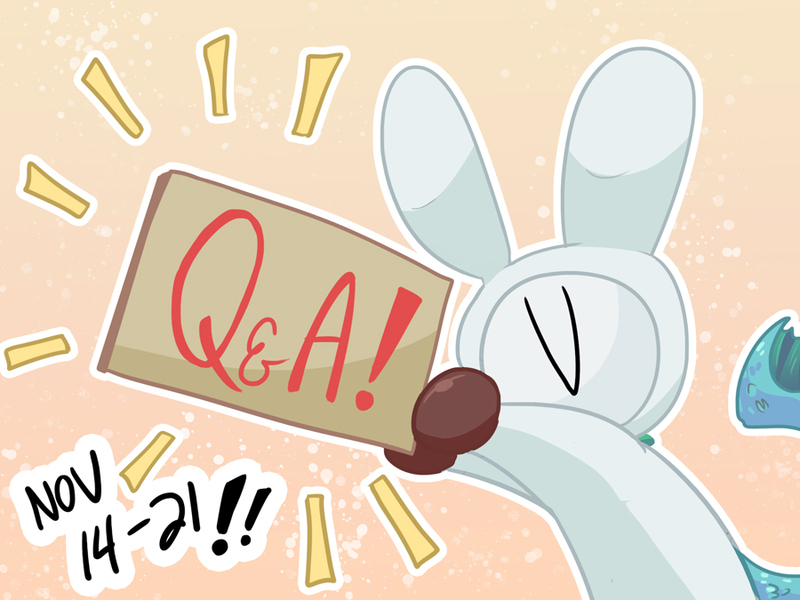 Starting today ’til next Wednesday, they’ll be a Q&A spot open for people to ask questions about/at the characters, the world, the story, or even me! THANK YOU! I’d really appreciate it!